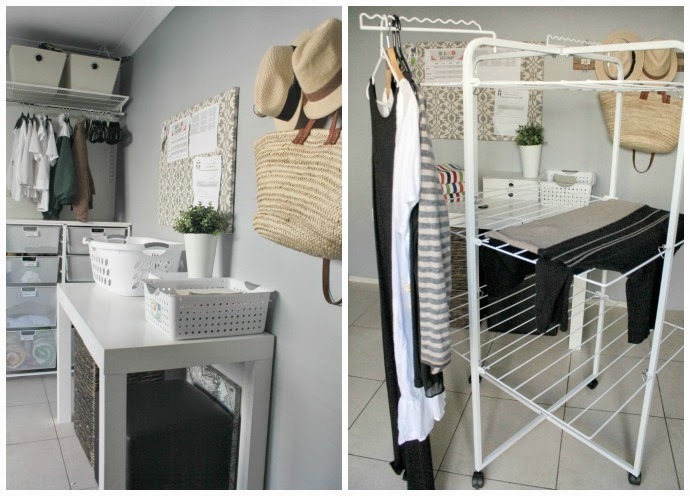 "My laundry tip is to do what I did. I put my cross face on, told my hubby I couldn't cope with all the housework and he could either clean both our toilets every second day or do the washing. I don't even remember what our washing machine looks like!" 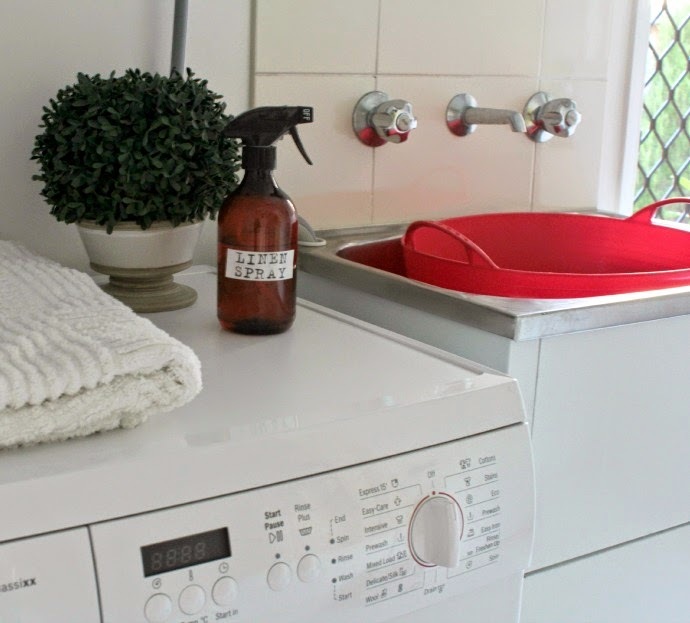 The laundry is often one of the most neglected parts of our homes and if there was an official protection service for laundries then I probably needed to be dobbed into them a loooong time ago. We bought our house 9 years ago and with only 1 child at the time; I didn't put a lot of thought into the laundry. From memory I think I just kind of poked my head in there and went “yep there’s a laundry” and moved on to look at the next room. At the time I didn't notice how small the laundry was, how dark or dingy it appeared or how very little there was in the way of storage. Skip forward 9 years and approximately 6570 loads of washing later (yes I actually did the math) and I have developed somewhat of a phobia about my laundry. For so long it has been a sad sad place and I have avoided going in there as much as possible. It wasn't just the dingy room that was putting me off doing the laundry; it was the act of doing laundry itself. I mean all that time washing and drying and folding and sorting and then the clothes would sit in baskets or hang on the curtain rod in the toy room until they were required because no one could be bothered to put them away. Seriously who really wants to live in a Chinese Laundromat? Because that’s what the kid’s toy room looked like! So once again my fabulous friends at Howards Storage came to the rescue. When we were discussing our next potential project together, the laundry came up and of course they wanted to see it. The horror on the HSW team’s faces were only rivaled by the shame on mine as I did not even bother tidying it up when they came to have a look. It needed to be seen in its authentic dysfunctional state to get the full picture of what everyone would be dealing with. Now as is always the way with the HSW organisational Ninjas, they came up with the most awesome of plans and a date was set for a makeover. In the meantime, I set about giving the rooms a bit of a facelift by pulling everything out and painting over the drab beige with a couple of coats of fresh white paint. The difference that made was phenomenal and things were already beginning to look a lot brighter… pun totally intended. My mate Ali came in and fixed the dryer to the wall and installed some elfa tracks. 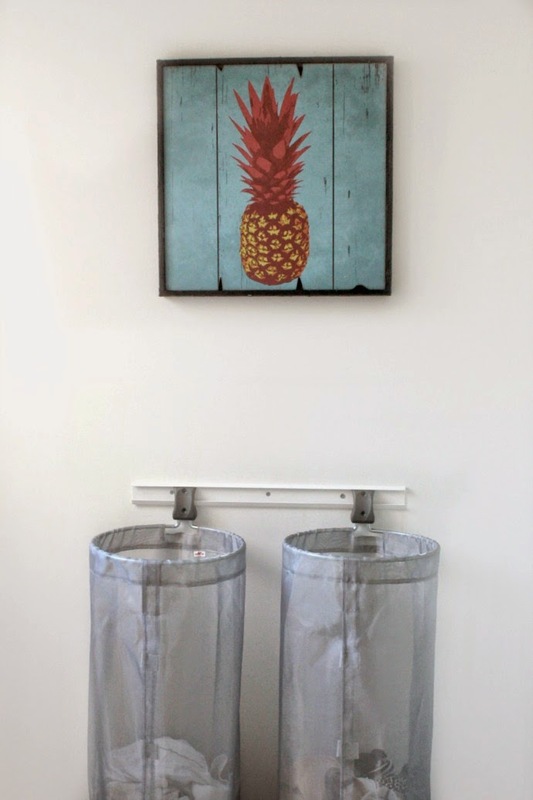 The idea was to create storage in there but as it is a very small room, we needed to make sure we didn't overcrowd it and make it feel even pokier. 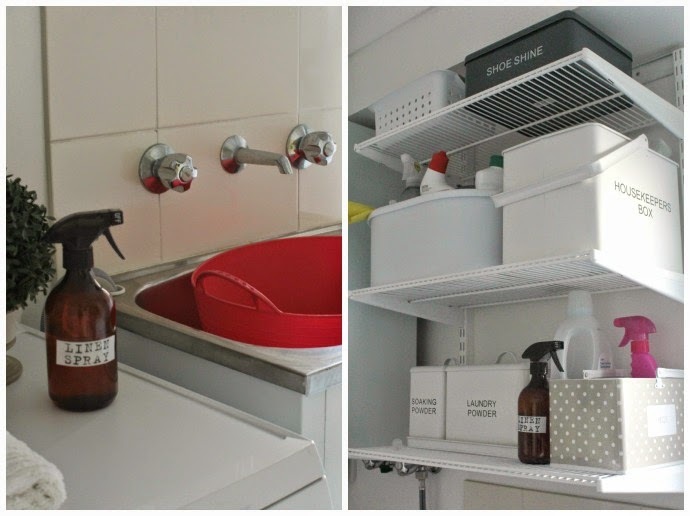 I have been a huge fan of the elfa system for a while now - ever since it was installed in our garage makeover. 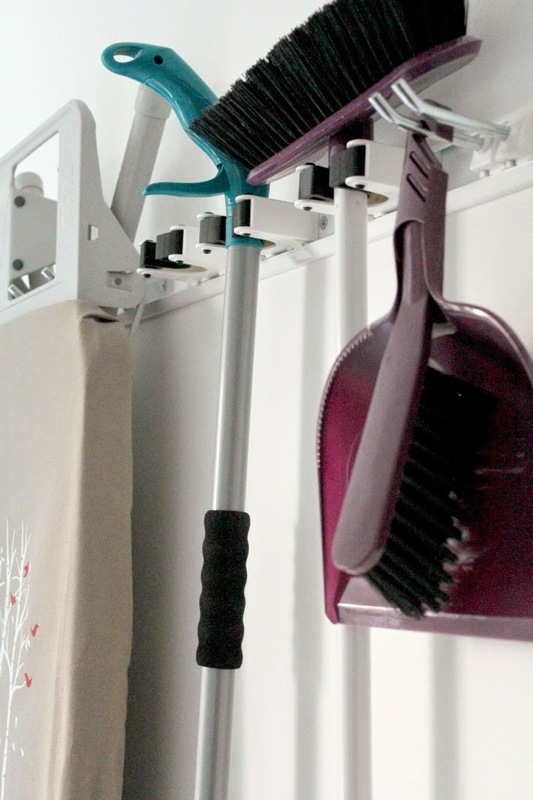 It is a fabulous storage solution that allows you to use the wall space to hang shelves or utility hooks and even dirty clothes baskets, keeping everything neat and organised and of the floor. 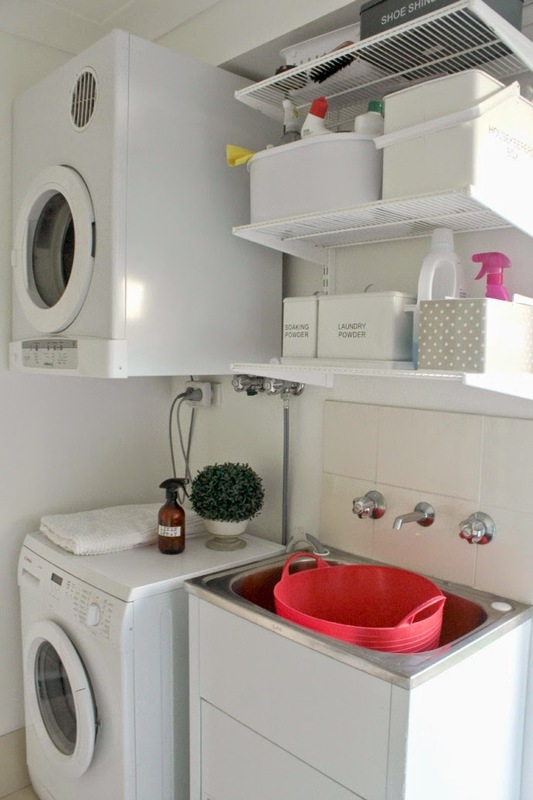 Throw in some pretty and practical accessories to house the laundry and cleaning items and ta da - behold my beautiful new laundry. 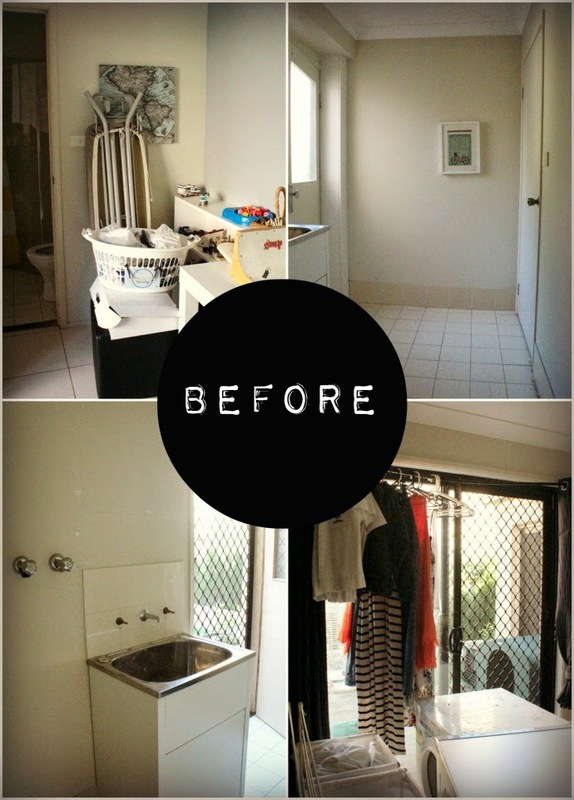 OK so the laundry was finally shmicko and inviting as well as being a bright AND functioning space, BUT I still had the issue of living out of clothes baskets and clothes hanging on the curtain rail in the kid’s toy room. The kids haven’t used the toy room for a while now and so as a family (and with a little gentle persuasion from me in the way of a new video game) we decided to reclaim that room and turn it into command central. 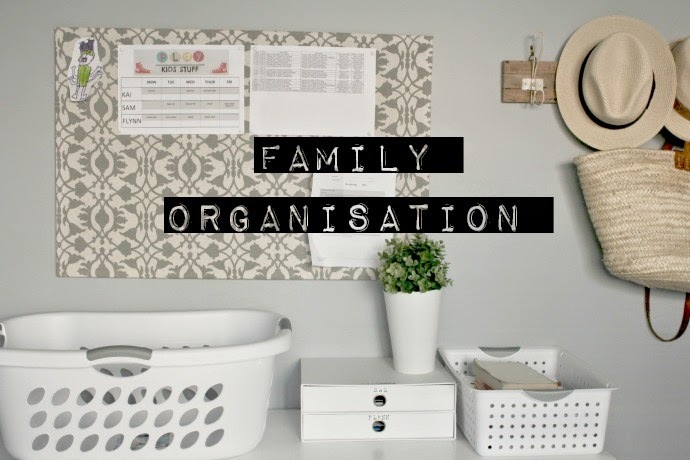 A place which would act as the central organisational point for the day to day running of our family including laundry distribution, homework station, school uniforms, notes and sports rosters etc. 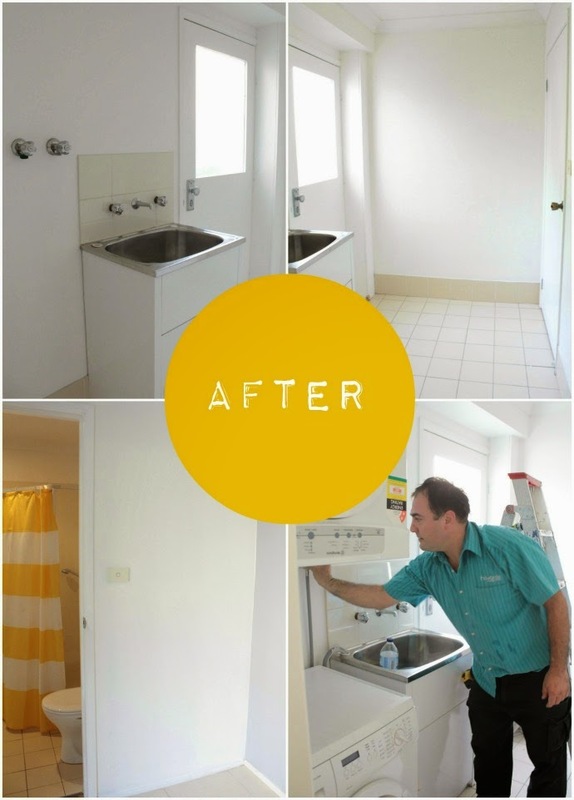 It was to become a utility room of sorts that stores everything we need for coming and going as well as things like towels for the pool etc. Our boys get dressed downstairs for school. They come down in their PJs half asleep and their school clothes are all laid out waiting for them. Honestly I can’t see the sense in taking all their school clothes upstairs to their individual rooms to then have the hubby or I go around each night and collect them to bring back downstairs for the morning. 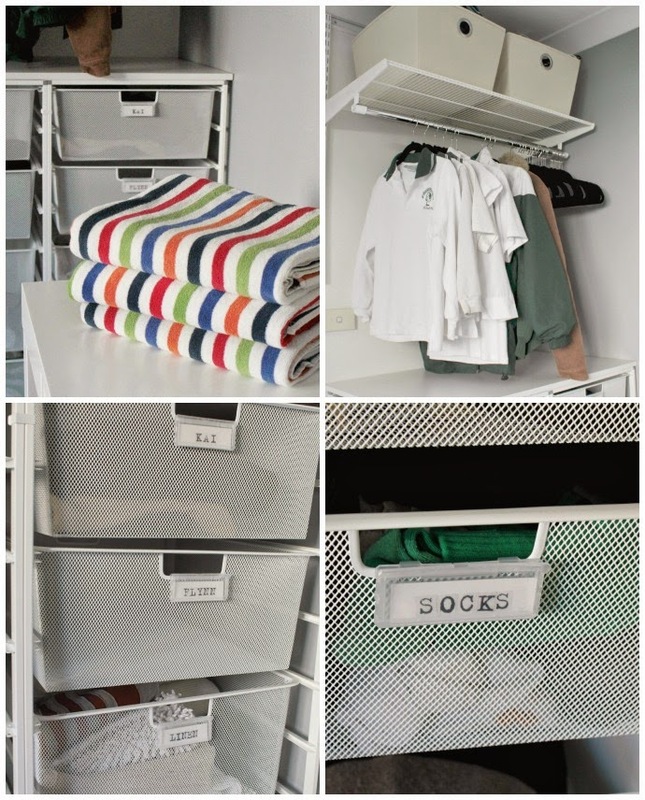 So we decided to store the school clothes, socks and undies downstairs in the new utility room. As for the rest of the clothes, well they now get folded on the folding table and placed straight into a drawer for each family member. The drawers are then distributed to their owners to take upstairs and put away. Clothes are no longer hung to dry on my long suffering curtain rail because we have a fancy shmancy family sized clothes airer that we can hang everything from undies to full length dresses on. 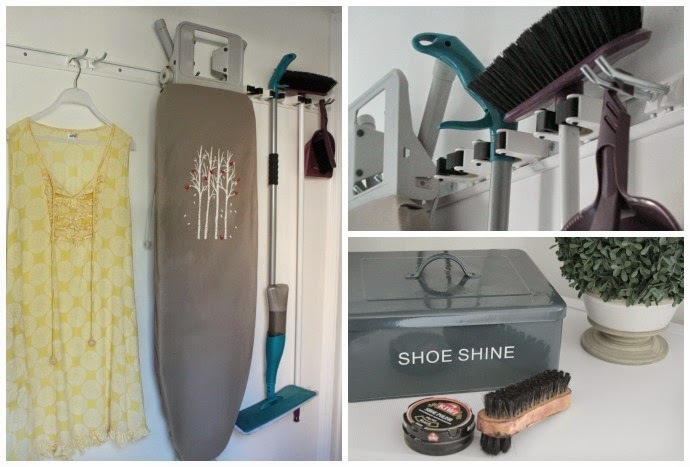 This airer can be moved from room to room or folded up flat and put away when not in use. School notes and assignments, sports rosters and reminders are kept on the memo board and homework books are kept in a drawer with the boy’s names on them. Our oldest boy has a basket where he also keeps the text books he doesn't need to take to school that day. The kids are now responsible for packing their bags the night before with what they need and I can see what notes need to be signed and what assignments I need to hassle them to get done. 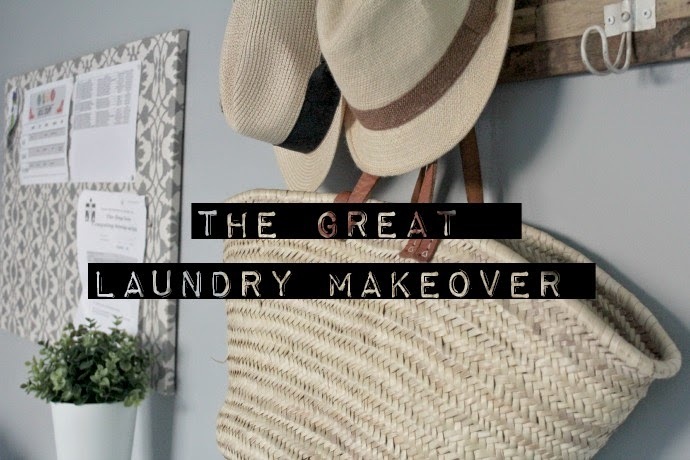 So there we have it - the Great Laundry AND Family Organisation Centre makeover. Can you hear my OCD heart going thumpety thump? 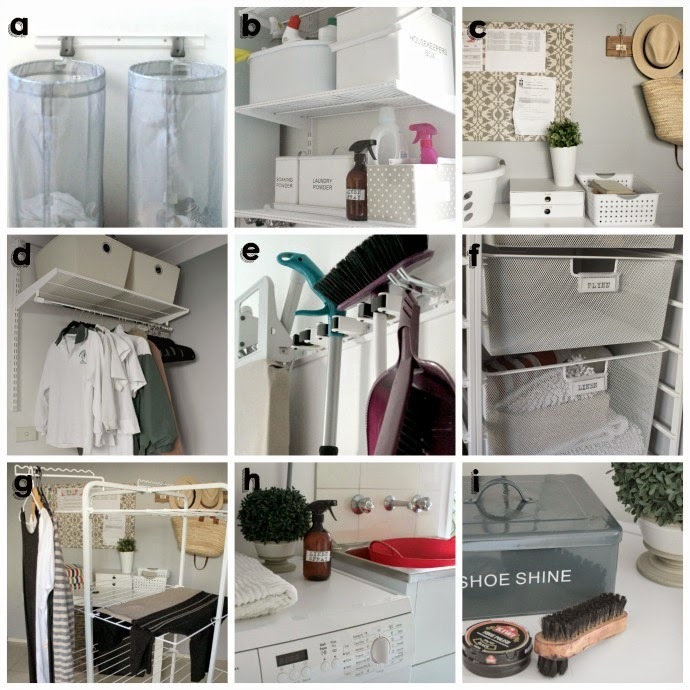 You can find a whole load of ideas to help you organise your laundry in the latest Howards Storage World Catalogue here, as well tips and tricks to save you time and even a video showing my laundry makeover. 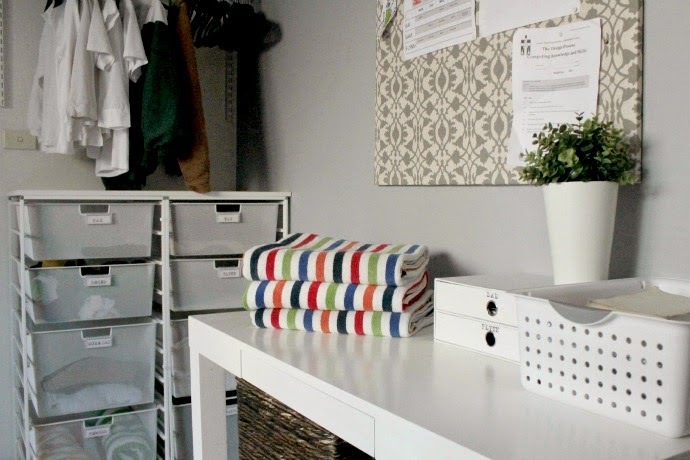 You can also enter to win one of 5 x $1000 Gift cards over at the Howards Storage World website so that you can make over your own laundry. Make a purchase from Howards Storage World (either in-store or online). Enter the unique receipt / transaction number at: hsw.com.au. Each unique receipt / transaction number provides one entry into the competition. So, the more you shop at Howards, the more chances you have to win! Head here to enter in that competition now. 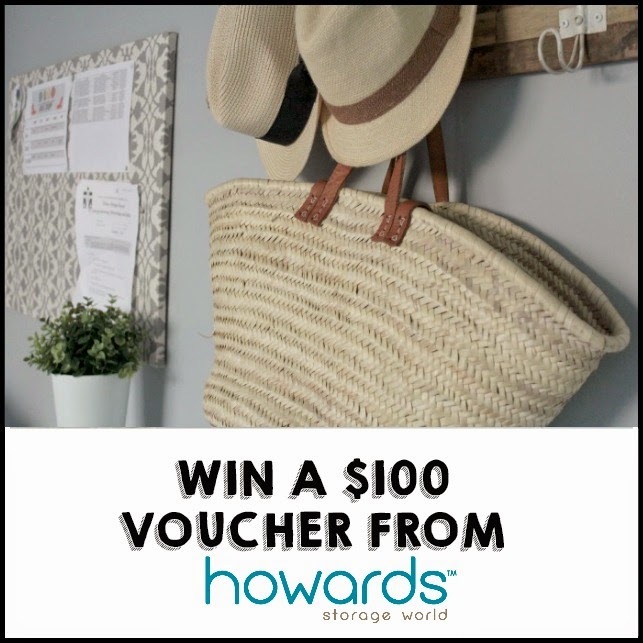 Alright folks, now who fancies winning a $100 Howards Storage World Voucher from me to put towards organising a room in your own home? 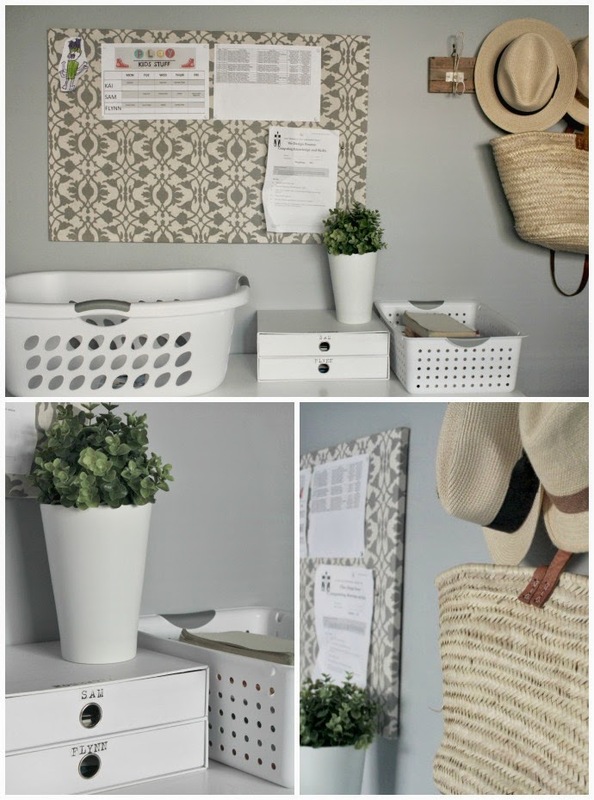 All you need to do to enter is tell me what is the best laundry tip you have ever been given? Then follow the prompts in the Rafflecopter widget below and you are in with a chance to win.